A 20 year old man in good health, taking no medications, came in for an eye exam, with a complaint of “a spot of light.” Vision without correction was 20/20, in both eyes. 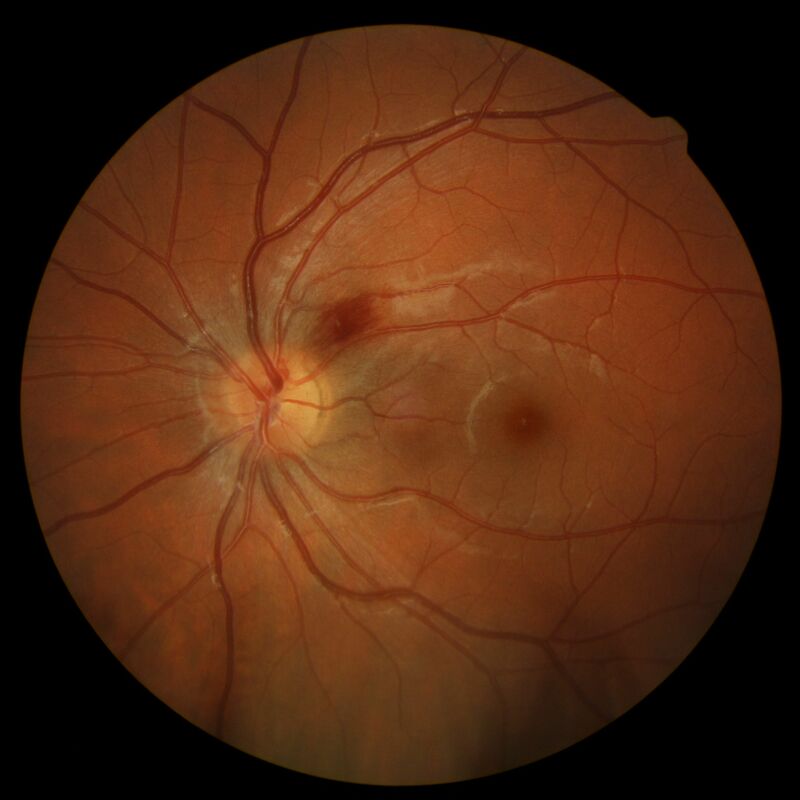 Dilated exam revealed a bleed on his optic nerve, pictured below. He was referred to his primary care physician for further examination and blood work. He was diagnosed with hypercoagulation, which is excessive blood clotting. This can be very dangerous as blood clots can travel to the arteries or veins in the brain, heart, kidneys, lungs and limbs, which in turn can cause heart attack, stroke, damage to the body’s organs or even death. Patient was educated on risks and benefits of taking Plavix, a blood thinning medication.